Gists Yung6ix Is A Die Hard Fan Of Manchester United Football Club,Look At What He Did For Them. 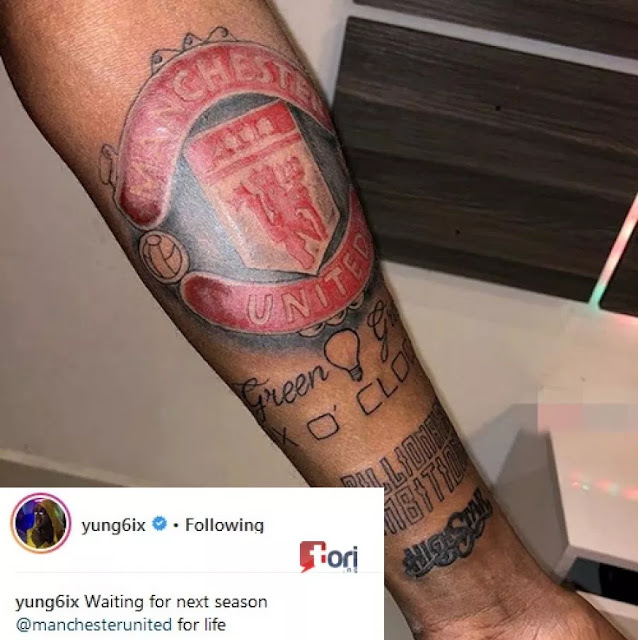 Yung6ix Is A Die Hard Fan Of Manchester United Football Club,Look At What He Did For Them. 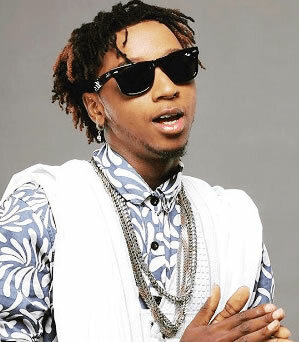 Yung6ix , is a Nigerian hip hop recording artist. Yung6ix was born and raised in Warri , Delta State. He grew up as the oldest child in a family of five, and took a strong interest in music at a young age. In a determined bid to show his unflinching support for Manchester United ahead of the new Premier League season, Yun6ix has gotten a massive tattoo of his dear club. The hip hop recording artist who is a staunch supporter of Manchester United Football club, recently revealed that he got the huge tattoo in solidarity with the Premier League side.